First impressions are lasting impressions. They really count in your job search. This is especially true if you’re working your way up your career ladder to management or any other important position in a conservative or traditional business environment. Additionally, it’s important to dress as though you’re interviewing for your dream position that you want five years from now. This is also true if you’re really ambitious and want to be a CEO someday. They’re No. 1 and No. 2, respectively, month after month. So if you’re a future CEO, here’s a memo: Dark suit colors make for an authoritative image. 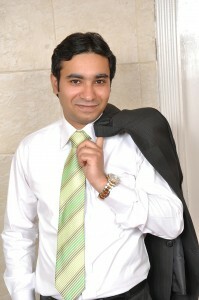 A well-dressed applicant creates an image. An interviewer at the executive level will be wondering – sometimes subconsciously – if you’re senior-management material and with enough potential to push her or him up. The person might also be pondering whether you have what it takes to be the big boss some day. True, the position you’re seeking might not require impeccable business attire. The interviewers know this. But it’s better to be over-dressed than to risk being under-dressed in a job interview. I base this from countless experiences. That includes my experience as a job-seeker or as an interviewing executive early in my career, and as a management consultant advising executives whom they should hire. I’ve never heard company executives complain about overly dressed applicants. If anything, they appreciate well-dressed applicants. I’ve seen them hold applicants up as examples to their employees. But managers have complained when an applicant is dressed too casually. You’ll want to be able to take notes. Immediately, after the interview run to the nearest post office to send a thank you note so that it arrives the next business day. Your note should include your appreciation for the person’s consideration, your elevator pitch on why you’re a good match for the company, and a buyer’s remorse statement to make sure the interviewer won’t regret hiring you. If you’re applying for a sales position, instead of a briefcase carry a thinner portfolio. In this way, they can more easily picture you in a role as one of the company’s salespeople. About the cell phone, make certain the sound is off before entering the building. Don’t wear excessive jewelry — at most, a watch and a ring. And, oh, don’t wear a hat or sunglasses in the building. Wear a pant suit or knee-length skirt suit. Make sure you don’t show a low neckline or reveal undergarment straps. Your skirt hemline should reach at least the middle of your knee. You want the interviewer to know you’re all business. Despite the trend not to wear hosiery, it doesn’t work for job interviews. Don’t assume you can under-dress. Wear flesh-tone or neutral color stockings. Your shoes should be low-heel or high heels, but no flats, sandals, tennis shoes or flip flops. In cold weather, boots will work. Wear a dark-colored suit, such as navy, charcoal gray or black. Pinstripes are fine. For a Friday interview, you can probably wear a navy blazer with taupe or gray slacks. The fabric for the coat and slacks should match whether its wool, wool-blend or linen. Make sure your suit fits well. Wear mid-calf-length socks so when you sit, your leg isn’t visible. The color of your socks should be dark and accessorized with the color of your slacks. You should wear leather shoes with laces that go well with your suit. Business loafers are OK on Friday if they’re dressy. Your shirt should be long-sleeve, either white or light blue or with a business-like pattern or stripes. Either button down or spread collar are best. If you’re high-powered, you probably know about French-cuffs. Your tie should be silk — traditionally striped or have conservative patterns and colors. Make sure the tie is a suitable style and color for your shirt and jacket. Praying for a Job? Key Questions to Ask Interviewers — Employers prefer inquisitive applicants. It shows their interest in a company and communication abilities. There are two benefits if you ask the right questions in a job interview. Firstly, you shine compared to your competing job seekers. Secondly, you get the right information to make the best decision. 3 Best Interview Strategies for a Promotion in Your Company — So your company has an opening that would mean a promotion for you. Great. But make sure you prepare properly to avoid disappointment. To get the job you must interview well. Here are best practices to ensure your odds for success. HR – Interviewers Give Higher Marks to Applicants Interviewed Early in the Day — Interviewers often mistakenly give higher ratings to job job seekers – whom they interview early in the day – at the expense of other applicants. That’s one of the conclusions from research of 10 years of data from more than 9,000 MBA interviews. Chit-chat in Negotiations Pays off More for Men than Women — FYI, some small talk just before a negotiation provides a boost for men but not women, according to academic researchers. So, if you’re a man, a little chit-chat before the serious discussion helps you make a better impression for better results. But it’s just the opposite if you’re a woman. Men benefit 6 percent more than women. Multiple Job Offers? Ask the Right Questions to Win in Your Career — Suddenly, you’ve got choices — several companies have said “We want to hire you.” Now, what do you do? Here are five strategies for career success.